Xiaomi Redmi 4 Prime expected price in India is ₹8,999. 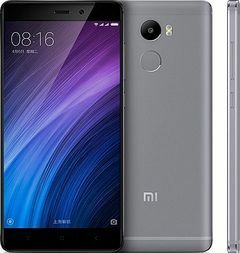 Touted to be an 'Ultra-affordable compact phone', the Xiaomi Redmi 4 Prime was launched a couple of months back in the company's native country, China. The dual-SIM phone is a part of the fourth generation of Redmis to come out, alongside the Redmi 4 and Redmi 4a. Coming to the specifications, the Redmi 4 Prime features a 2GHz octa-core Qualcomm Snapdragon 625 processor combined with 3 gigs of RAM. It packs a 4100mAh battery and runs on Android 6.0 Marshmallow. Along with that, it features an in-built storage space of 32GB which can be further extended to a maximum of 128GB. As is the custom with Xiaomi phones, the Redmi 4 Prime contains the company's MIUI skin, in this case, the MIUI8. The phone features a satin-finished metal back and a slightly curved 2.5D glass along with a 5-inch screen and for photography, contains a 13MP camera on the back along with a 5MP one on the front with both featuring f/2.2 aperture. Currently available in the Chinese market, the phone is expected to be launched in India soon. The Xiaomi Redmi 4 Prime best price in India is expected to be around 8,999INR. You can subscribe to Smartprix to get alerts regarding the Xiaomi Redmi 4 Prime.